• Cuc Phuong National Park is close to Hanoi and was Vietnam’s first national park! When people speak about destinations in Vietnam, many people will recommend big cities such as Ho Chi Minh City, Hanoi, Da Nang, or beautiful islands such as Co To, Phu Quoc, Cat Ba etc. However, Vietnam is also famous for its many national parks. We introduce to you some well-known ones. Phu Quoc is now one of the most overdeveloped islands in Vietnam, but more than half of Phu Quoc island is a national park, which is home to a diverse ecosystem with more than 200 kinds of animal and 1000 pieces of plant. Here, you can see some rare old-growth forests and Dipterocarp trees more than 100 feet high. From Ganh Dau village (làng chài Gành Dầu), you can reach Phu Quoc national park very easily for hiking, camping, scuba diving and so on. Dive deep into the clear water to see the abundant marine life, or explore this national park by riding a motorbike along its paths. From Phu Quoc international airport, you can hire a motorbike to get to Phu Quoc national park. Cat Tien national park is in Dong Nai province (tỉnh Đồng Nai), not too far from Ho Chi Minh City. It is said to be one of the most worthwhile parks in the south of Vietnam. This area is home to many primates and a great trekking destination. Going into this park in the early morning, you will hear the birdsong and cries of gibbons amongst the trees. Do not pack too much because this park nowadays offers tourism facilities for camping or paddling along the waterways. And, do not forget to get to Cat Tien Bear Rescue Centre, where you will see many amazing animals such as Asian black bears and sun bears. You can travel from Ho Chi Minh City to Cat Tien national park by motorbike or coach, but the most suitable way for tourists is by coach. Buy a ticket at Mien Dong coach station (Bến Xe Miền Đông) and get to Cat Tien national park for only 150,000 VND. Phong Nha - Ke Bang national park in Quang Binh province (tỉnh Quảng Bình) is famous for the largest cave in the world with whole ecosystems and forests within, called Son Doong cave (Hang Sơn Đoòng). With more than 300 caves, many waterways, mountains and forests, Phong Nha - Ke Bang national park is now a famous destination for tourists from all over the world. It is one of the must-see places in Vietnam and will provide long-lasting memories. From Hanoi or Ho Chi Minh City, take a flight to Dong Hoi airport and then catch a motor taxi to Phong Nha - Ke Bang national park. Ba Be national park is home to mountains, waterfalls, caves and rivers. It is a tourist attraction thanks to the diversity of ecosystems with protruding peaks, plateaus and vast lakes. Making a boat trip to explore the waterways is an excellent thing to do, and you can hike through the plethora of forests with stunning views down to the lakes. You can also visit local villages to gain an insight into daily life. Ba Be national park is 240 km north of Hanoi in Bac Kan province (Tỉnh Bắc Kạn). In Hanoi, Mr. Linh's Adventures at No. 83 Ma May Street organises a range of tours and homestays in the region—see MrLinhAdventure.com. Con Dao national park combines marine environments with tropical forests, pristine beaches, lush mangroves and coral reefs. The area is strictly protected and retains a wild and majestic beauty. From Tan Son Nhat international airport in Ho Chi Minh City you can fly to Co Ong airport (Sân Bay Cỏ Ống) on Con Dao island. This national park in Ninh Binh province (Tỉnh Ninh Bình) south-west of Hanoi is a famous destination with pristine trails and beautiful landscapes. It was Vietnam’s first national park and is the country's largest nature reserve, with a wide range of flora and fauna. It an attractive area for adventurous visitors. From Hanoi, hire a motorbike or catch a coach at Giap Bat station (Bến xe Giáp Bát) to get to the park. Have you been to any of these places? If so, share your experiences at xxxx. Emily Pham shares her love of the country, including essential information on where to go and what to do, through her blog site vina.com. It’s quite possible that Quy Nhon is the most underrated place to travel in Vietnam, but that may not be a fact for long. The central coastal city in Binh Dinh province is becoming the target of a huge wave of development, as prospectors seek out a new beach city to turn into Vietnam’s next big tourist destination. If you find yourself nestled on a quiet beach in this quaint town you might ask yourself, “Why haven’t more people heard about this place?” Well, it may be at least in part due to the fact that Westerners have a hard time pronouncing it (kwee nyawn). In fact, you may have heard of the beach town but had trouble finding it on a map because for those not well-versed in Vietnamese pronunciation, it’s spelled way differently from the way it’s actually said. It’s also in a particular area of Vietnam that has stayed off of the radar of most tourists. Travellers so far have been more likely to visit neighbouring cities such as Da Nang and Nha Trang, places that are known to be developed, have attractive beaches, and are also home to international airports. That said, as a tourist destination, Quy Nhon has got quite a lot going for it, and developers are setting up for what they think might be a veritable tourism goldrush. Its remote location, beautiful beaches, clear ocean waters and ancient ruins put it on British newspaper The Guardian’s top 10 list of sun destinations for winter 2018. 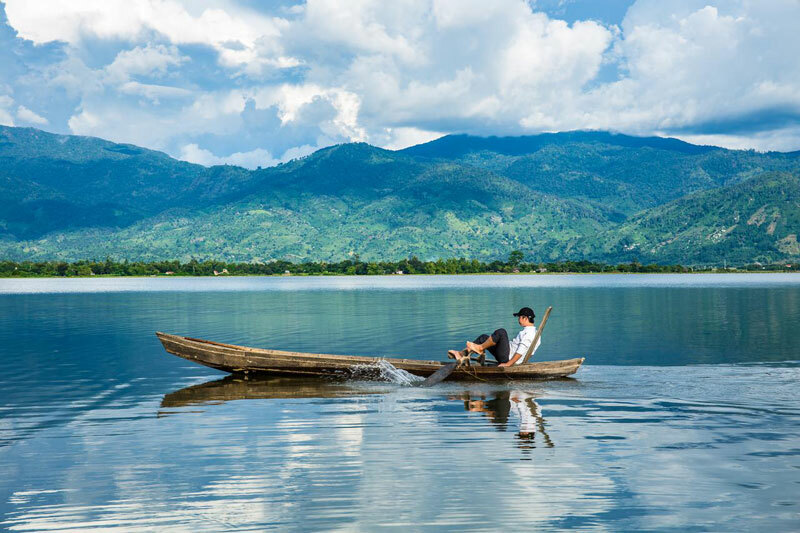 The combination of quiet, tranquil beaches and scenic scrolling countryside also earned it a spot on the Dozen Dream Destinations for 2019 list for popular travel website Remote Lands, who called the central Vietnamese town “a bit of a dark horse” as a destination, but also that “it is on the rise”. Quy Nhon is quite a distance from Vietnam’s major cities, 650km from Saigon, 300km from Da Nang City and over 1,000km from Hanoi. This makes it a perfect getaway for locals and adventurous travellers seeking a quiet escape in an unfrequented area that’s off the beaten path. 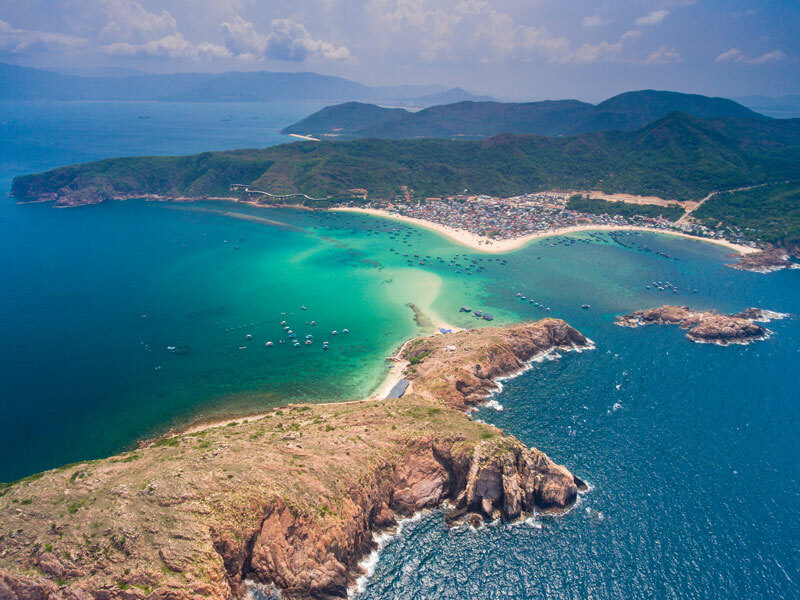 One of the reasons Quy Nhon is attracting attention as an up-and-coming destination is the relatively recent opening of international airports nearby, and the overcrowding of other nearby beach towns oversaturated with heavy tourism. City Pass Guide spoke with TJ from Epikurean Hotels and Lifestyle, a prominent resort developer in Asia: “Do expect to see more international flights in the near future, most likely in the next 36 to 48 months. On that coast, from Song Cau to Quang Nam, you’re going to see a lot of development in the near future. There are a couple of factors. You have the typical north-central and south powerplay. Quy Nhon is considered central. [Places like Nha Trang and Da Nang] are highly saturated and it’s getting extreme sensitive. Where can you go? You can’t go up north any further, because you don’t have more than six months of season, where in Quy Nhon you have 10 months of season. Look at this [shows us a photo of a clean, sunny beach with calm, clear waters]. This is the bad season. 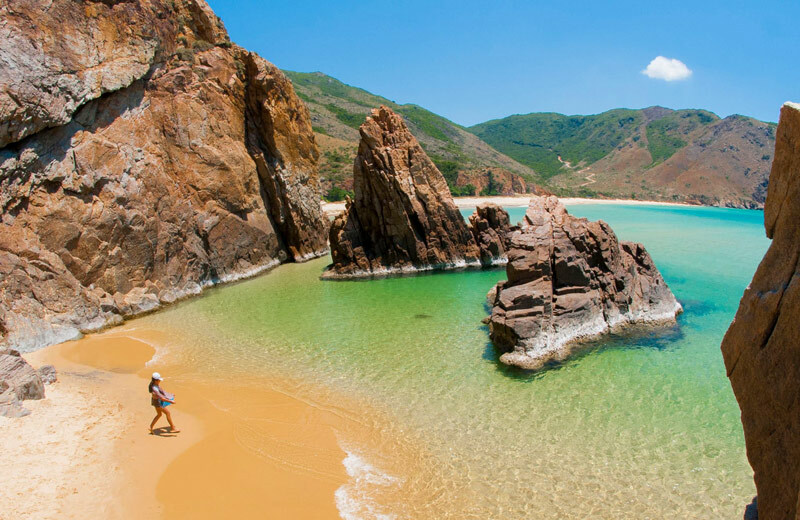 If you were to lose a ring in the water, you could probably come back and get it the next day because the water is so clear!” Unlike many beaches in more developed cities in Vietnam, the waters in Quy Nhon remain quite pristine. Development in neighboring central Vietnam cities like nearby Nha Trang seems to be hitting a ceiling of sorts. TJ shared with us, “Land prices are soaring in places like the northern part of Nha Trang. There’s a fair amount of speculation given. It becomes highly complicated and expensive to get an investment licence due to the speculation and the land-grabs. Also, the biggest and most important point is that the airports are saturated. Cam Ranh is the new international airport and it’s just a mess. It’s not a mess because of poor management, there are just way too many people!” As a result, resort developers are moving further north and south of Cam Ranh in order to create popular new tourist destinations. According to the Saigon Times, Tuy Hoa Airport in the south-central province of Phu Yen was expected to begin welcoming international flights in November 2018. Dinh Viet Thang, head of the Civil Aviation Authority of Vietnam, said that the authority has been completing procedures to begin hosting international flights, with the first arriving from Russia. TJ explained, “If I was an airline operator, especially a charter operator, I would rather land in Tuy Hoa and move my customers north and south, rather than to land in Cam Ranh. To travel from Cam Ranh to Nha Trang is 60km, but from Tuy Hoa, it’s only 100km. The difference being that there’s zero traffic, it’s way cheaper and there’s way more negotiation power with the hotels in those areas. Then do the math”. If you calculate all of these factors, it becomes clear that the recent developments in Quy Nhon are not unwarranted. Quy Nhon offers more than just calm, picturesque beaches. History buffs will want to visit the Thap Doi Twin Towers outside of the city limits. 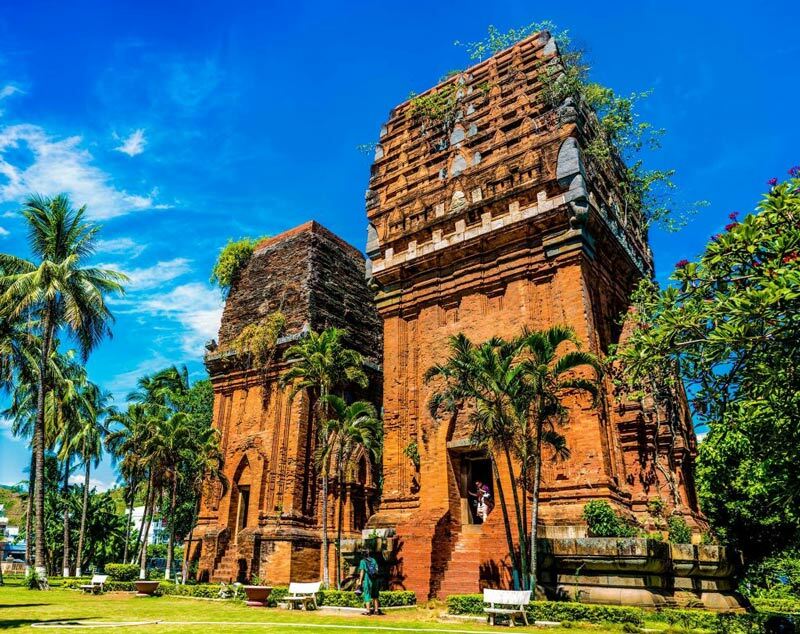 These pyramidical towers are remnants from the Cham civilisation in Vietnam’s central region. Unlike much of the Cham architecture, the Thap Doi Towers are quite accessible, meaning you won’t have to climb hills in the blazing midday heat to reach them. For anyone seeking a quiet getaway at a lovely Southeast Asian beachtown that isn’t overrun by tourism and development, the time is now to visit Quy Nhon. It’s on the brink of some major development, and you might want to get in while the getting is good. 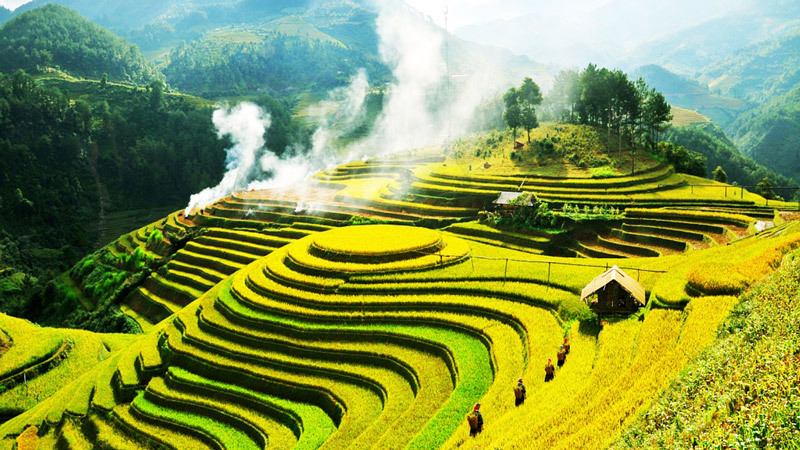 The central highland of Vietnam has been opening to more tourists over the past decade. Foreign visitors have increasingly easy passage to come and explore the region’s attractions. The Central Highlands have beautiful natural features such as relatively untouched forests, waterfalls and spectacular scenery. Moreover, its high altitude offers a slightly cooler temperature than the almost unbearable heat of the southern plains. If you’re in the area, these places are not to be missed. This freshwater lake belongs to the Pleiku city, which is within the Gia Lai province. This lake provides water for most of the neighboring city’s dwellers. The 230-hectare lake is full of water year round and has a depth of up to 40 metres. Interestingly, the lake is a dormant volcano that has been inactive for millions of years. 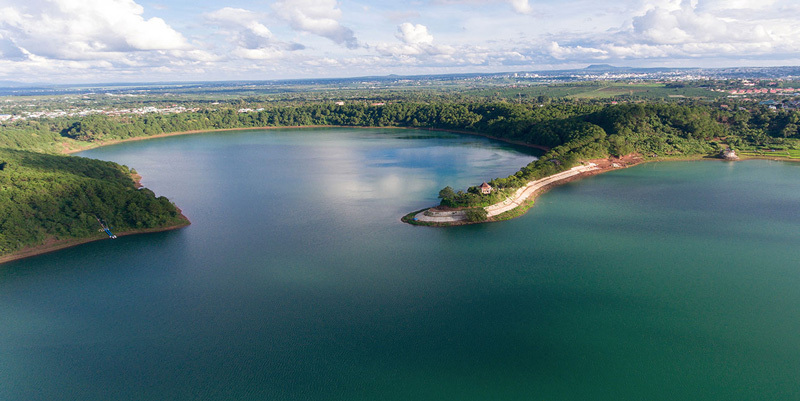 Also, according to the locals, the shape of the lake looks like sparkling eyes when seen from above, so people called it “the Eyes of Pleiku”. The road leading to the lake is as beautiful as a picture with the green pine groves flanking the path. At the end of the road is a small, romantic house for visitors at the top. You can pause here for a moment and see the lake with its blue water, a pearl in the highland so clear that you can even see the fish underwater. Ta Dung is a 21-square-meter lake located in Dak Nong province. The blue, gem-like color of Ta Dung comes from the color of the lakewater. Coupled with the thousand trees there, the scene makes for a beautiful view and draws travelers who wish to enjoy the stunning vistas. Furthermore, there is a garden homestay on the top of the mountain near the lake. Once travelers come to Ta Dung, they can enjoy the natural beauty of not only the lake, but also the sunflowers to other wildflowers blooming around the homestay. Are you tired of the noise of the city and under pressure from your job? If you answered “yes”, this is the place for you. Lak Tented Camp is a resort placed on the bank of Lak lake in Dak Lak province. It’s 50 kilometres from Buon Ma Thuot. To get to Lak Tented Camp, you must complete part of the journey by boat. It takes around 10 minutes. At Lak Tented Camp, you can fly away from your stressful life to live with nature. The accommodation includes activities that visitors can do such as riding the bicycle around the lake, rowing a kayak, or trekking to the Bim Bip waterfall nearby. 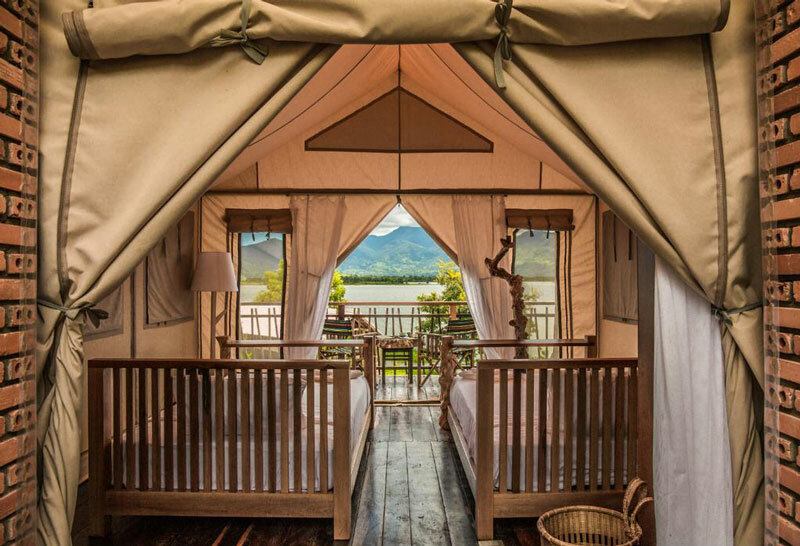 Staying in Lak Tented Camp, your view is a magnificent scene of lake and forest. So how about enjoying a glass of wine with your love in the room next to the lake? It will be a great trip in which you can enjoy the peace that will be as complete as the lake itself. 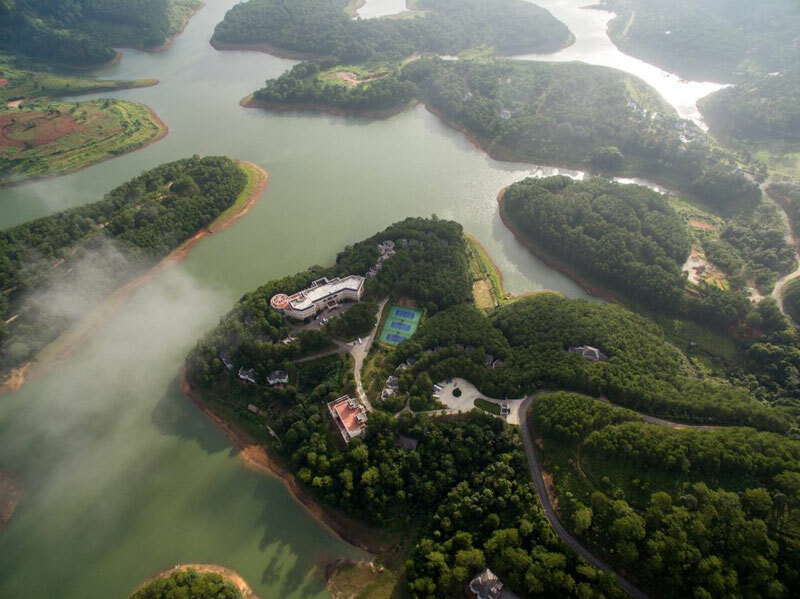 This 350-hectare lake six kilometres south of Dalat was discovered in the 1930s. The lake is famous for fresh air, mild atmosphere, and a natural landscape. It has various activities for visitors such as sightseeing, camping, fishing, trekking, and more. Don’t worry about where you can stay on your vacation on the lake, there are many nice resorts in which to enjoy the trip. For example, there’s the 240-room Terracotta, which has 21 riverside villas and top-notch facilities covered by a pine forest. Another one is Edensee Lake Resort spa, which is designed like a little European village. So enjoy the Dalat red wine with a romantic view with your true love. How awesome it is indeed! What’s more, there is a maple leaf forest on the other side of the lake, and you can rent a boat service for around VND300.000 to 500.000. This is perfect for groups of up to 15 people who want to take a boat trip. Have you ever walked in a volcano? If not, this is a must-try for your holiday in the highland of Vietnam. The Chu B’luk volcanic cave has been recognized as the longest volcano in southeast Asia with over 100 caves differing in shape and size. Each of the caves is an attraction created from lava millions of years ago. This is in Buon Choah commune in Dak Nong province. The numbers of people who come here to visit have increased more and more. 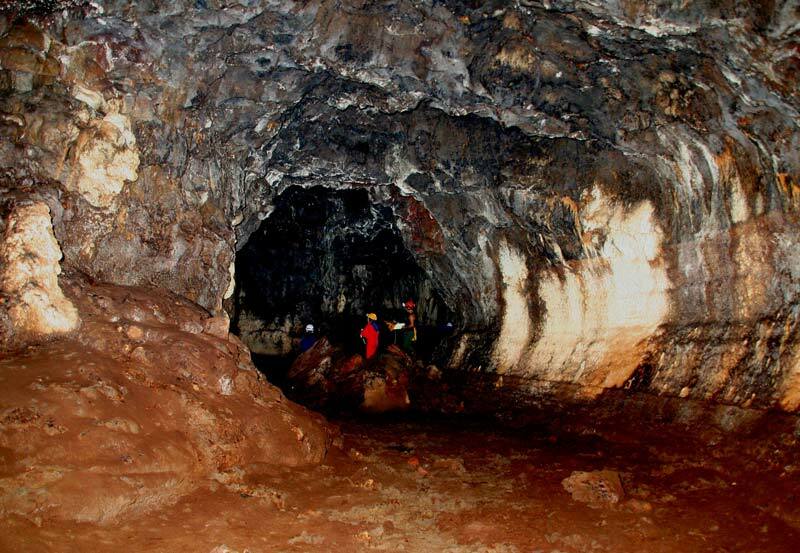 The mystery and wilderness of the cave attract people who want to experience it themselves. The typical travel route for tourism in Vietnam is from the north to the south, and sometimes the other way around. How is this style of tourism killing Vietnam’s potential as a tourist destination? I wouldn’t say it’s killing it, but certainly it’s restricting the potential for growth. For many travellers, in particular from Australia and other English-speaking markets, Vietnam is still very much seen as a “bucket list” destination, a once-in-a-lifetime trip not to be repeated. For some it is their first trip to Southeast Asia, though more often than not they’ve already travelled multiple times to what we call “fly and flop” beach destinations like Thailand and Bali. Though Vietnam has some very attractive beaches, it is seen more as a cultural travel experience and it struggles to compete with its more established, experienced neighbours. When the potential of new sites or areas is recognised, these are too often monopolised and destroyed by local interests. What does the current tourist industry look like in Vietnam? If you look at these source markets, you will see they are filled with competing general sales agents all offering what on the surface seem to be similar types of travel itineraries, and they are all fighting for a piece of the same pie. There are plenty of unique and specialist offerings out there, but these are primarily suited to niche interests and usually don’t receive the same sort of marketing attention. There are real costs associated with all forms of distribution, so products need to pay their way, so to speak, in terms of return on investment. So, you think it’s primarily a marketing issue? The issue around effectively marketing and promoting non-generic itineraries is there, but it’s further challenged by the limited knowledge of traditional travel agents. Many of them haven’t travelled to this part of the world, so they stick with what they know and trust, through a tried and tested product. Familiarisation or educational trips invariably focus on the main highlights of the country through a north to south trip (or vice versa), so they just don’t have the confidence or knowledge to go beyond this. 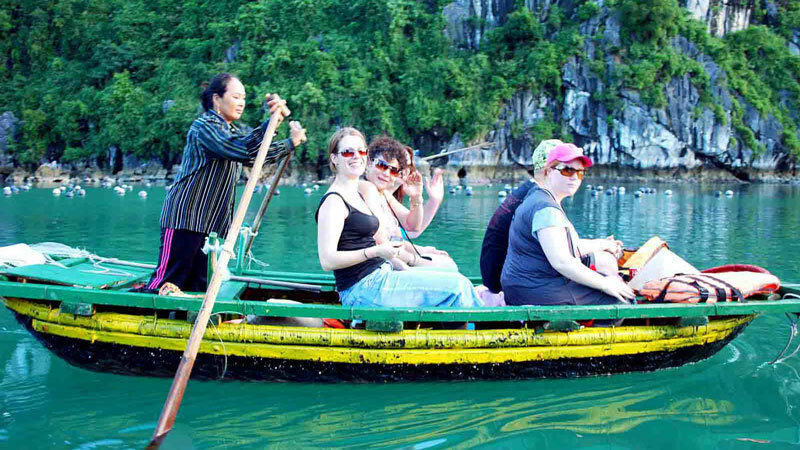 Few tourists return to Vietnam for a second trip. Why do you think this is? There are a host of reasons: the lack of an effective national tourism body to market the destination; the relatively high cost of travel; the cumbersome and expensive visa process; the over-development and pollution of natural attractions; the constant tourist rip-offs; substandard services and a flawed hotel rating system. What other travel patterns or tours should be created to change this and to encourage more return trips to Vietnam, as it is in Thailand, for example? There are probably only two main reason travellers would return: to visit an area not previously seen, or for a traditional beach-style long stay. Of the latter, we are seeing the emergence of Danang/Hoi An as a destination for repeat travellers (more so than Phu Quoc, though this is also increasing), though the percentages are still relatively small. This should continue to grow as infrastructure slowly improves. As the number of hotels and resorts increases, so will the competitiveness of rates, along with an increase in international carriers adding direct routes to Vietnam. How can travel agents help tourism in Vietnam grow sustainably? They can market and develop a range of innovative packages specifically aimed at these returning travellers. These could include (but aren’t limited to): special city stays with unique inclusions, like going to the less-visited central highlands region. This could be easily combined with a Danang or Hoi An beach stay or a stay in the country’s far northwest, like Sapa, Mai Chau which are both easily accessible from Hanoi. 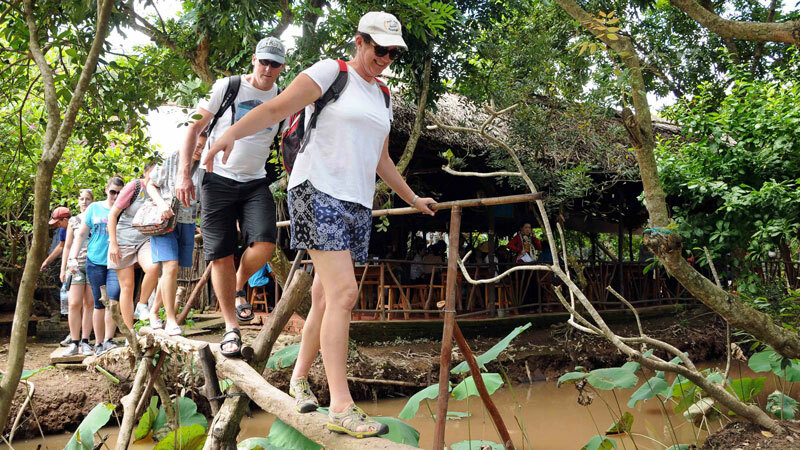 Or you could have Mekong Delta overnight cruises as opposed to the commoditised day tours. This could also include the longer Mekong cruises, which have become so popular in recent years. 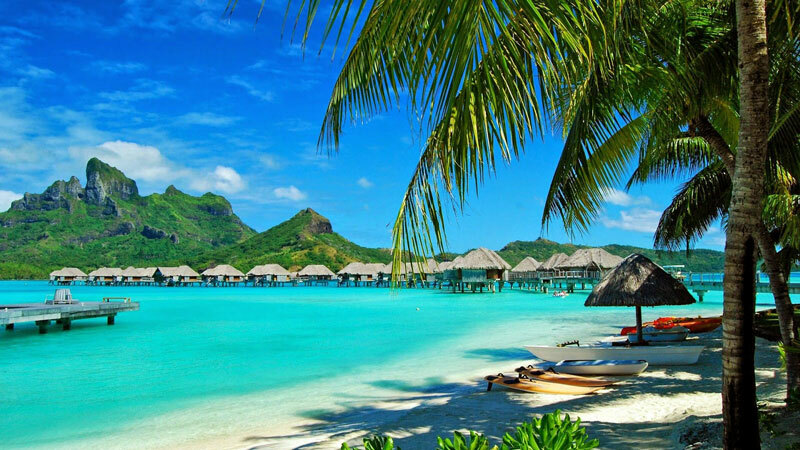 All of this can be combined with the proper promotion of Vietnam’s best beach locations and advice on the best time to visit the various regions. These more often should be included in planned familiarisation or educational trips, ensuring that travel agents broaden their knowledge for use in the sales process.